Psychobilly trio the Reverend Horton Heat released a new music video for “Whole New Life,” an upbeat ditty completed with clicking upright bass and dancing fowl. 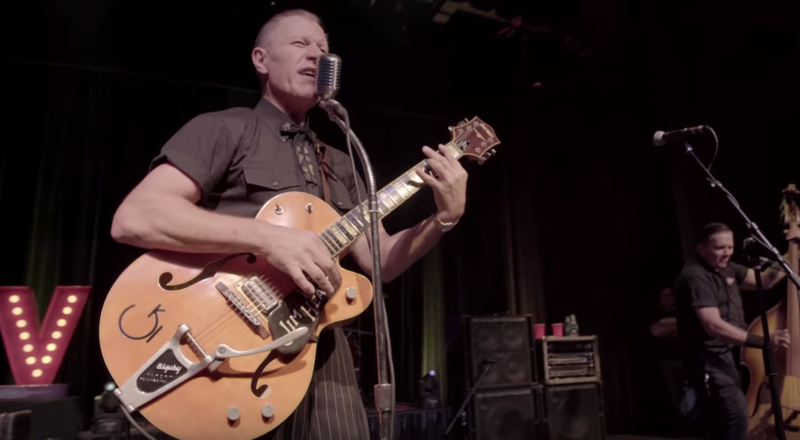 In the clip, frontman Jim Heath sings his heart out while ripping into his Gretsch G6120RHH Reverend Horton Heat Signature Hollow Body with Bigsby. To underscore his lyrics, a giant dancing chicken is often seen swinging and shaking along to the groovy number. “Whole New Life” is the title track of the band’s upcoming album, due out Nov. 30. Enjoy the upbeat video below.